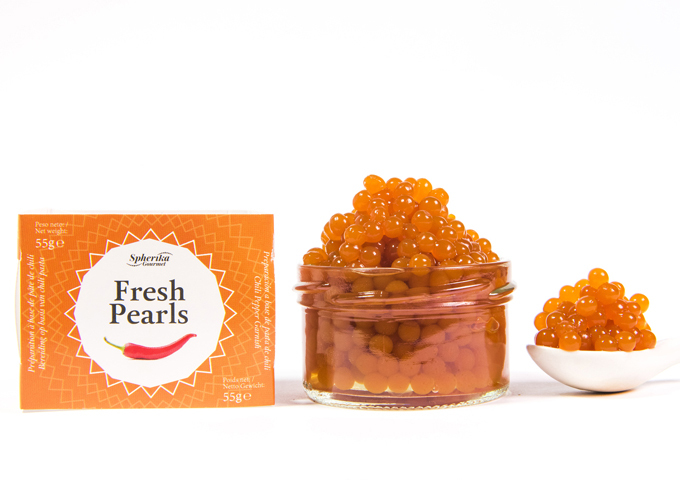 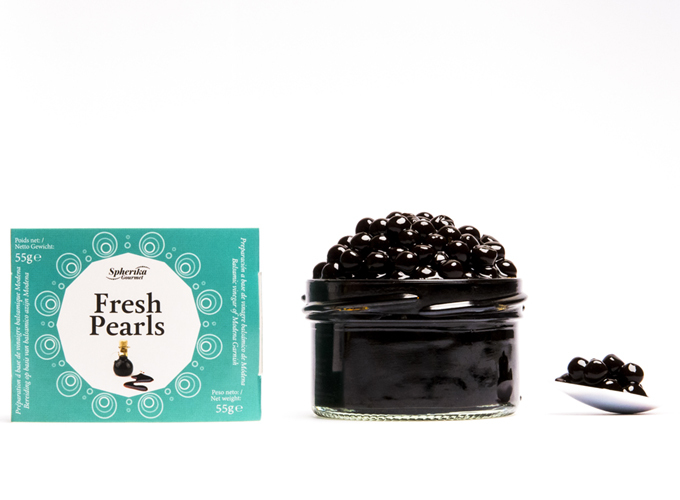 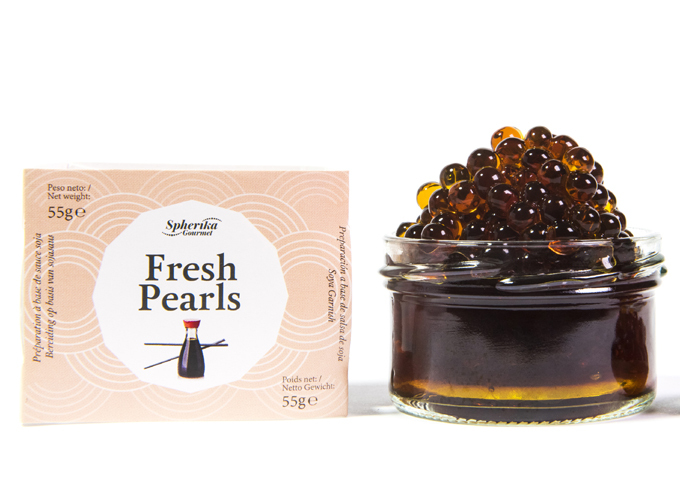 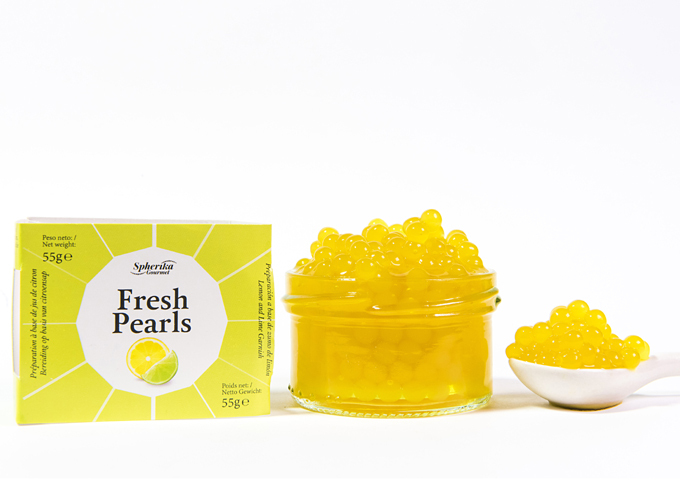 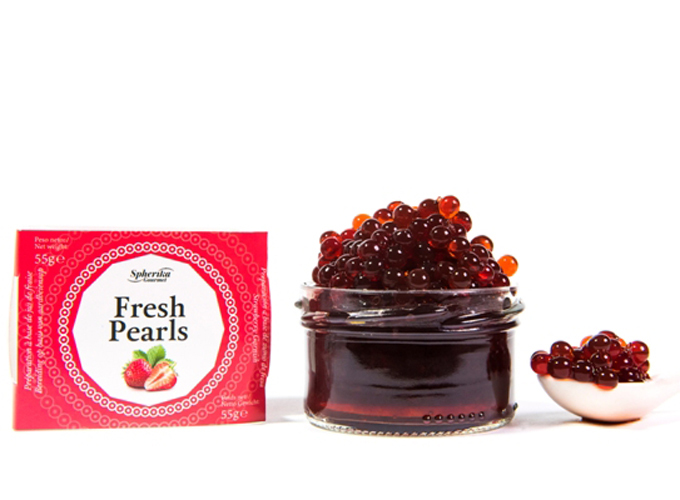 Excellent for cocktails, emphasize starters, meat or fish, or as toppings for deserts, these Fresh Pearls work as garnish and seasoning at the same time. 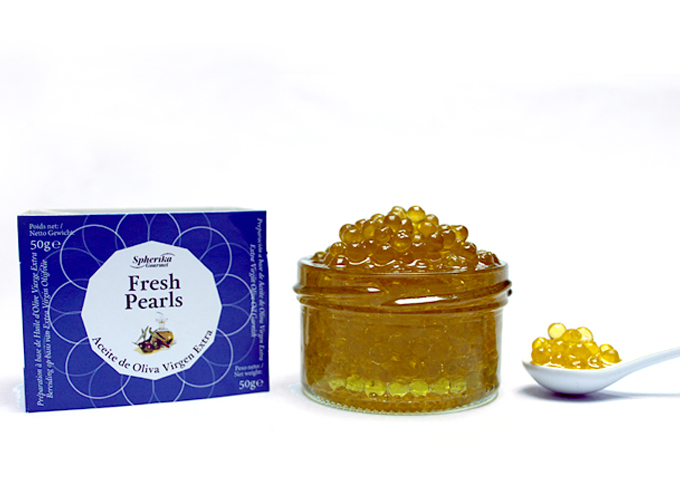 There are several available flavors for pairing with all kind of dishes: Chili, Lemon & Lime, Strawberry, Passion Fruit, Soya Sauce, Balsamic Vinegar and Extra Virgin Olive Oil. 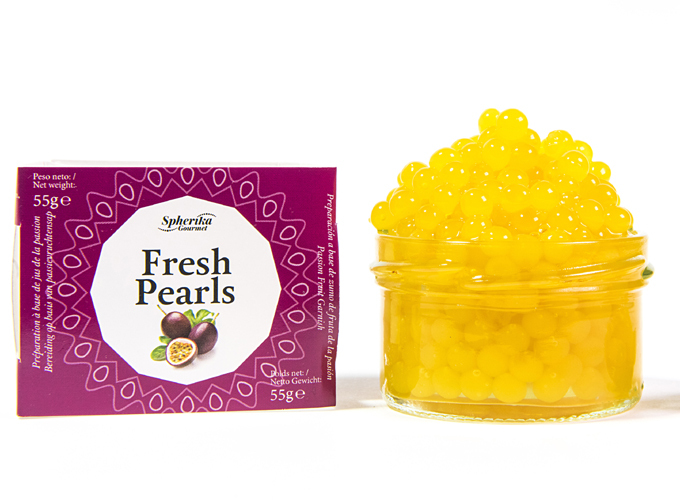 With Fresh Pearls it is possible to add a gloss of glamour and allure to any celebration.